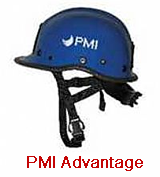 PMI Advantage Helmet. Maximum comfort and impact protection. 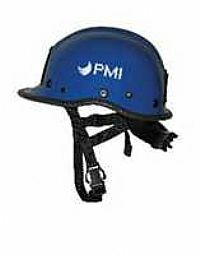 Excellent for rescue or industrial use. 3 point chin strap suspension and ratchet headband. Available in orange, red, blue, white, or fluorescent lime green. Made outside US.